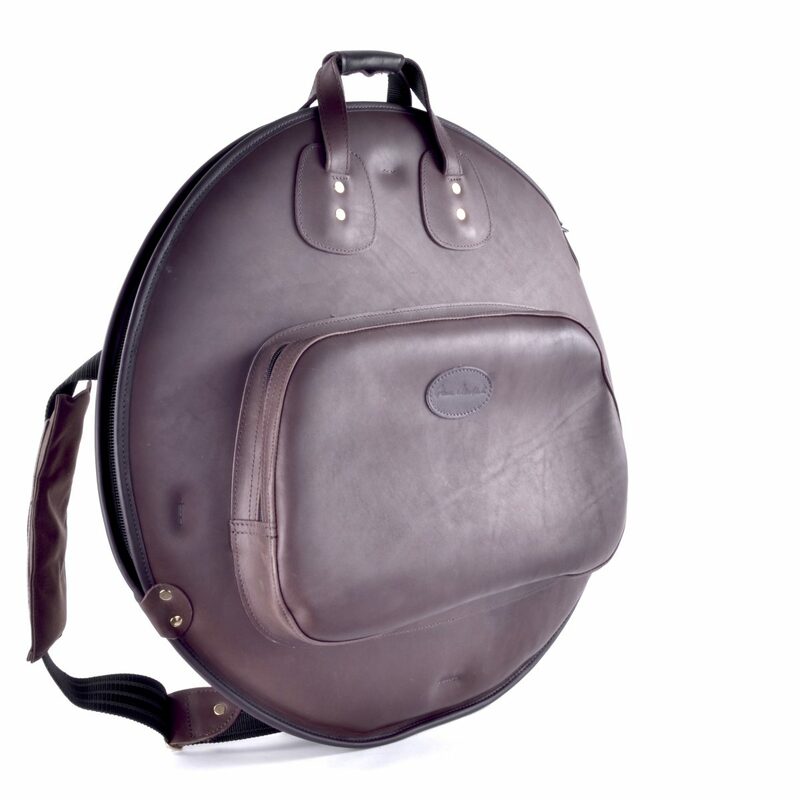 This is the original Glenn Cronkhite-designed cymbal bag that dates back to the 1970s. Made with our high quality leather or durable nylon, you can rest assured that your cymbals will be protected in a well made bag. An inch of high-density foam surrounds your cymbals. Oversized outer pocket for convenient storage. 6 pounds (2.7 kilo), 25 inches in diameter ( 63.5 cm). Students and professionals who want the original (and still the best!) cymbal bag.